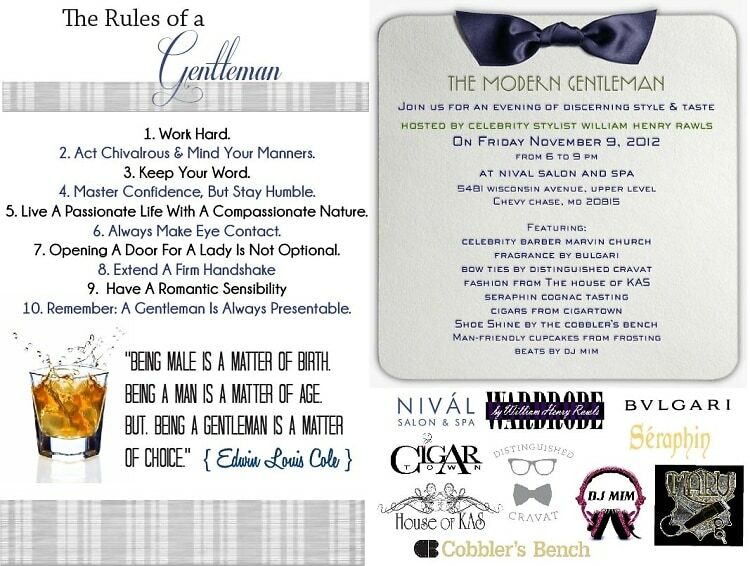 At last, a party for pampering the gents! Join Nival Salon & Spa for an evening of discerning style and taste hosted by celebrity stylist William Henry Rawls this Friday! Some of the guests slated to attend include celebrity barber Marvin Church (he's worked with Brad Pitt & Jay-Z), and celebrity hairstylists Neven Rodovic and Ian McCabe. There will be beaucoup cognac tastings courtesy Seraphin Cognac, shoe shines by The Cobbler's Bench, masculine (yes, masculine) cupcakes from Frosting, beats by DJ Mim, and much more.